Kirkland, Wash. - Lake Washington Institute of Technology (LWTech), the only public institute of technology in Washington State, is pleased to announce that Robert Malte, Chief Executive Officer (CEO) of EvergreenHealth, will deliver the 2016 commencement address at 2 p.m. on June 17 at the Lynnwood Convention Center. Eight hundred students are expected to graduate from LWTech this year. Kirkland, Wash. - Lake Washington Institute of Technology (LWTech), the only public institute of technology in Washington state, will celebrate the bounty of late spring and early summer with its 2016 Wine Dinner on Friday, June 3 from 6:30 p.m. to 9:30 p.m. at Chef City Grill on the Kirkland campus in East Building (E147). Kirkland, Wash. - Lake Washington Institute of Technology (LWTech), the only public institute of technology in Washington state, received a donation of $125,000 from local North Bend residents Robert and Linda Tjossem to create the Tjossem Family Endowed Scholarship Fund. The Tjossem Family Endowed Scholarship Fund will be managed through the LWTech Foundation and will generate five annual $1,000 scholarships in perpetuity for students enrolled in a variety of programs. Kirkland, Wash. - Lake Washington Institute of Technology (LWTech), the only public institute of technology in Washington state, is receiving $150,000 in grant funding from College Spark Washington (College Spark) through its Community Grants Program. College Spark helps low-income students earn their degrees by funding programs that reduce student enrollment requirements in developmental education courses and increase the rate of students who earn their first college-level English or math credits. Kirkland, Wash. - Lake Washington Institute of Technology (LWTech), the only public institute of technology in Washington state, is launching three new summer camps and programs designed for kids and adults: Science, Technology, Engineering, Art and Math (STEAM) Camps, Game in a Month, and Fast Track Academics. Kirkland, Wash. - Lake Washington Institute of Technology (LWTech), the only public institute of technology in Washington state, has granted tenure to three faculty members: James Hicks, Karen Holum and Andrew Short. Tenure-track faculty are highly skilled educators practicing modern pedagogy, current in their fields, innovative leaders in their programs and the college, and worthy ambassadors to industry and our community at large. Only a peer-driven process like this one can ensure that the award of tenure shall signify the achievement of excellence. Hicks teaches Auto Collision and Repair and holds a Master of Business Administration from Seattle University. Holum teaches Multimedia Design and Production and holds a Master of Science from University of Washington in Human Centered Design and Engineering. Short teaches Engineering Graphics and holds a Bachelor of Science from Western Washington University in Industrial Technology/Engineering Graphics. The LWTech Board of Trustees awarded them tenure on March 8. Kirkland, Wash. - Lake Washington Institute of Technology (LWTech), the only public institute of technology in Washington State, has entered into a partnership with three other agencies to form the Eastside Reengagement Center (ERC). Friends of Youth (FOY), King County Employment and Education Resources (EER) and Seattle Education Access (SEA) will work together to help disengaged youth and young adults in King County gain access to free high school equivalency preparation classes with individualized instruction. Participants also receive career counseling, employment services and college navigation. 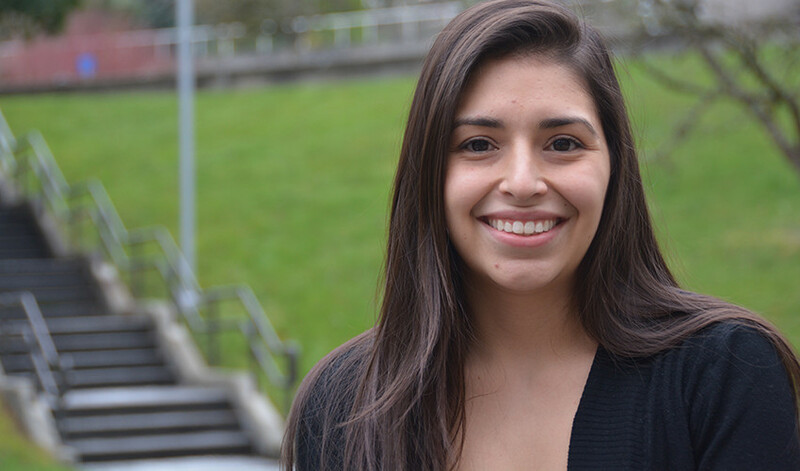 Kirkland, Wash. - Lake Washington Institute of Technology (LWTech), the only public institute of technology in Washington state, has named students Tiffany Ruiz and Marc Allen to the 2016 Phi Theta Kappa All-Washington Academic Team. Phi Theta Kappa, the International Honor Society for two-year colleges, recognizes 20 college students for their scholastic achievements each year. To qualify, recipients must maintain a cumulative grade point average of 3.5 or higher, demonstrate outstanding academic achievement and community engagement, and be nominated by their college. 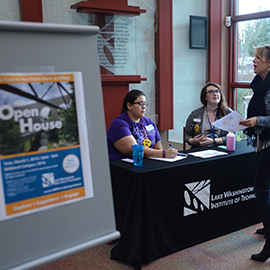 Kirkland, Wash. - Lake Washington Institute of Technology (LWTech), the only public institute of technology in Washington state, is hosting its annual Open House, Tuesday, March 1, 2016, from 4 p.m. to 7 p.m. at its Kirkland campus located at 11605 132nd Ave. NE. All ages are invited to attend and participate in hands-on activities and interactive demonstrations. 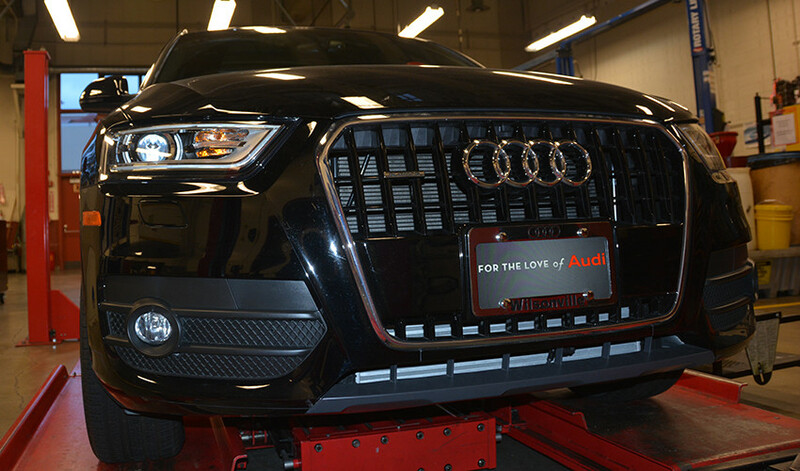 Kirkland, Wash. - Lake Washington Institute of Technology (LWTech), the only public institute of technology in Washington state, has entered into a partnership with Audi of America, Inc. (Audi) that includes a 2015 Audi Q3 crossover for student training. The car, which is valued at $32,500 MSRP, allows LWTech's Auto Repair Technician students to have hands-on experience with the latest automotive technologies. As part of the agreement, at least five LWTech graduates will be placed for employment at a local Audi-brand dealer each year. Kirkland, Wash. - Lake Washington Institute of Technology (LWTech), the only public institute of technology in Washington state, will host the Washington State Board for Architects on Feb. 11 at its Kirkland campus. The board traditionally meets at four-year colleges, however this is its first visit to a two-year degree program in recent history. The board will tour LWTech's Architectural Technology program, which is undergoing a redesign to a cohort model along with the Engineering Graphics department. The Architectural Technology program prepares students for careers with architecture firms, construction companies and government civil engineering departments. Duvall, Wash. - The Riverview School District has purchased 10 acres of property, formerly owned by Lake Washington Institute of Technology (LWTech), in Duvall, Washington. The sale has been unanimously approved by the LWTech Board of Trustees and the Riverview School District Board of Directors. Kirkland, Wash. - Lake Washington Institute of Technology (LWTech), the only public institute of technology in Washington state, will kick-off its 2016 Wine Dinner series with a nod to Valentine's Day on Friday, Feb. 12 from 6:30 p.m. to 9:30 p.m. at Chef City Grill on the Kirkland campus in East Building (E147). Kirkland, Wash. - Lake Washington Institute of Technology (LWTech), the only public institute of technology in Washington state, has entered into a partnership with Everett Community College (EvCC) and Cascadia College (Cascadia) to provide corporate continuing education programs through EvCC's Corporate and Continuing Education Center (CCEC) to LWTech's service area which includes Kirkland, Bellevue, Issaquah, Redmond, Woodinville and Bothell. Kirkland, Wash. - Lake Washington Institute of Technology (LWTech) has hired Dr. Elliot Stern, Vice President of Instruction, and Dr. Suzanne Ames, Dean of Design, IT and Baccalaureate Development.